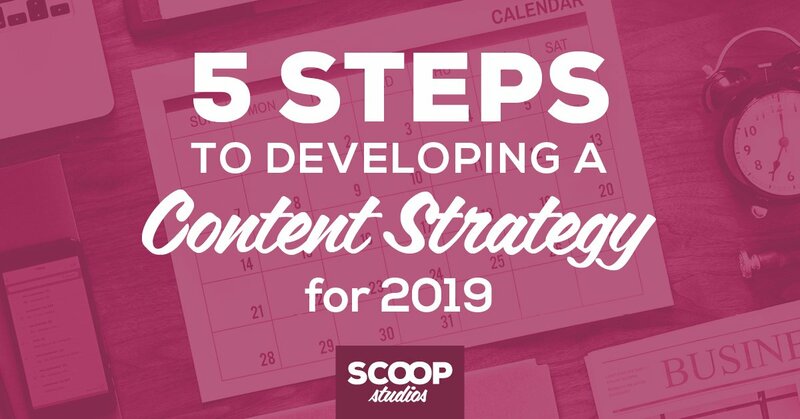 In a recent post, I broke down the five steps to creating a content strategy for 2019 and how each step in the process plays a critical role in reaching your content goals. 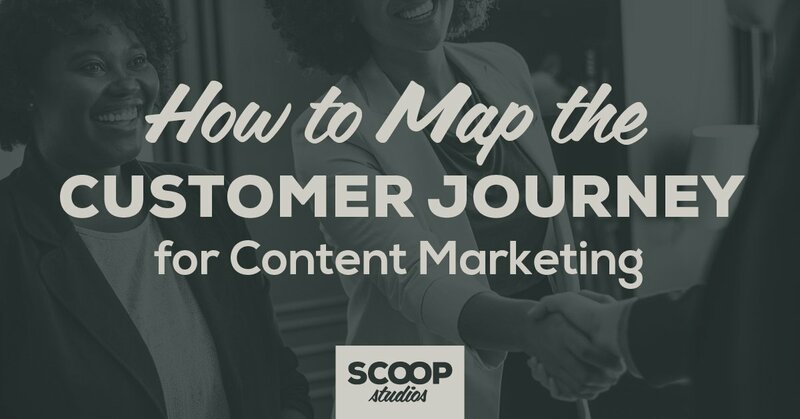 When working with clients, I’ve found that how to map the customer journey for content marketing tends to be the most challenging part of the process. There’s a reason this part of the content strategy process is dreaded by many marketers and that’s because it takes a lot of work to do it right. However, I’d argue this is the most critical part of your content strategy as without it you’re missing critical insights that can make (or break) your content marketing. A buyer persona, also known as an “ideal customer avatar,” is a fictional, ideal customer for your products or services. Having buyer personas that are complete and based on your real customers is key to ensuring your messaging and your overall content marketing efforts can deliver your desired results. Before you map your customer’s journey, you’ll need to dust off any buyer personas and update them or create entirely new ones based on how your target market is evolving or changing. Take a look at your existing buyer personas and assess if they truly reflect who your target customer is today and if they provide a complete profile. Many times, marketers fall into the trap of creating persons that are too much fiction and not enough fact. Developing your buyer personas shouldn’t be a one and done exercise, so I’m a strong advocate for regularly updating and/or creating new ones. The most direct route to getting the most intelligence about your customers is to speak to those who’ve already done business with you. Invest time in having one-on-one conversations with customers to learn more about why they chose your product or service, what challenges they were having and more. The process of talking to customers is time-consuming, but it’s a veritable goldmine of information that you simply can’t find anywhere else. In my experience, talking to customers lets you get into their heads that much faster and develop a dialog where you can ask questions that may seem out of alignment in another format. You can also conduct customer surveys and or mine for information on websites and social media to learn about your buyer personas. With all of the information you’ve gathered, you can then create your buyer personas. There’s more than one format or approach to creating your personas, but I do recommend going beyond the basic demographic information and detail their challenges and pain points, goals, objections or questions about your product/service, and how/where they consume content. With your updated buyer personas, you’re now ready to map the customer’s journey. By investing time in creating a customer journey map, the company is able to better understand what information your potential customers need and when they need it as they move through your sales funnel. The customer journey map helps bring together this critical information in a cohesive manner so the content marketing team has the intelligence required to develop and deliver content that turns leads into customers in the most efficient way possible. There are three key stages in the customer journey we need to consider when it comes to content marketing: awareness, consideration, and decision. For each of these three stages of the customer journey, you’ll want to refer back to your buyer personas and understand what the customer is experiencing as they move through the awareness, consideration and finally, decision stage. Then, for each stage, you’ll want to determine what content the customer needs, what the goals are for that stage, key metrics, and if you have a large marketing team, who’s responsible for that stage. Now, let’s take a deeper look at each stage of the customer journey. In the awareness stage, the customer isn’t aware of their problem or the solution, so you want your content to help them identify the problem. This stage is the top of your funnel so content should help potential customers identify and analyze their problem and determine if they need to take action or not. This is not the time for a hard sell, but rather positioning your company as a thought leader by providing helpful, valuable content in order to create trust. Welcome to the middle of your funnel! At this point in the journey, the customer knows their problem but needs more information to help identify a solution. As such, your company wants to be able to position itself as the solution to their problem and differentiate itself from the competition. While in the consideration stage, you shift the customer from discussing their problem to proposing the solution. Content should address common questions and start to educate the customer on your product or service. 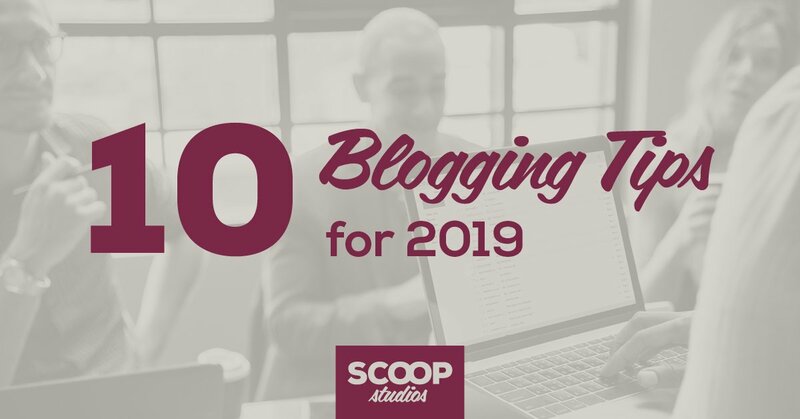 Content for the consideration stage may include: landing pages, email marketing such as newsletters or opt-in content, webinars, website content, product walkthroughs, and product or solution focused whitepaper. Now the customer has a number of potential solutions at the bottom of your funnel and is ready to make a decision. At this stage, the customer is looking for a sales or consult call, product demonstration, product/service comparisons, free trials and other items that help them choose your solution. Also, case studies and testimonials are a necessity as they provide social proof and help the customer envision what your product or service will do for them. As you map the customer journey for content marketing, pay special attention to what you’ve already been doing that’s working, and what parts of your funnel may need more attention. Many times, making minor adjustments to what content you offer and then fine-tuning it to better address the buyer’s need at each stage in the journey can yield significant results. Need assistance with creating your content strategy or customer journey map for your small business or corporate content marketing team? 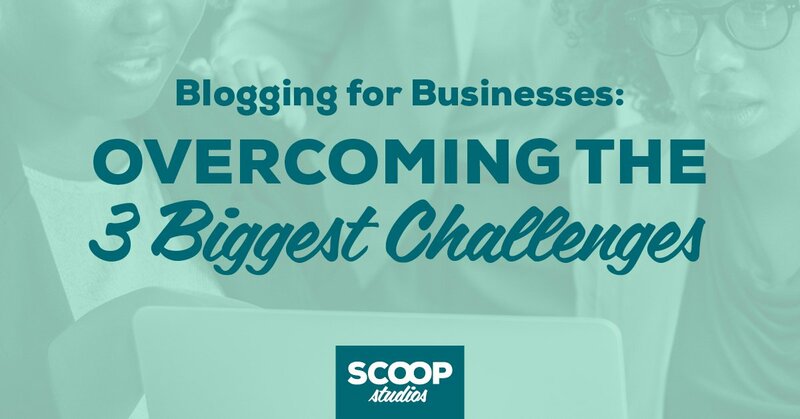 The Scoop Studios team can help. You can learn more about our services and request a content strategy consult call here.